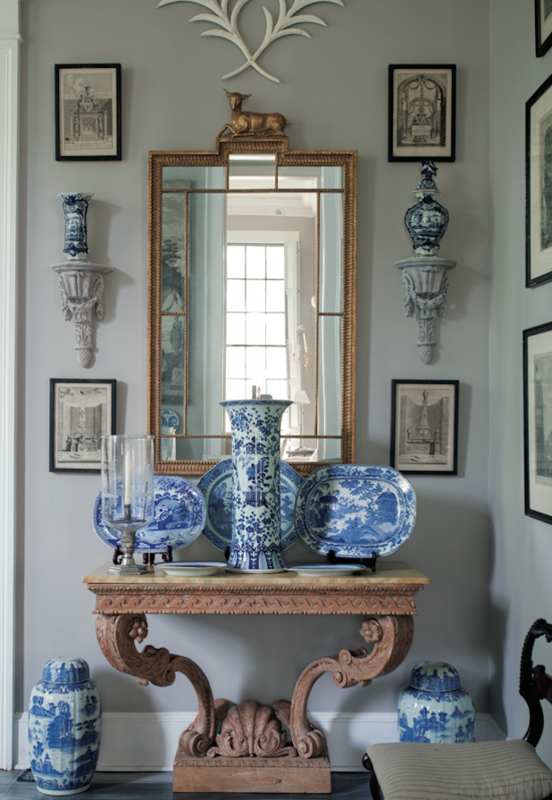 I have a few pieces of blue and white porcelain in my home and I really love it. I think it goes with every decor and fits into a neutral colour scheme perfectly. 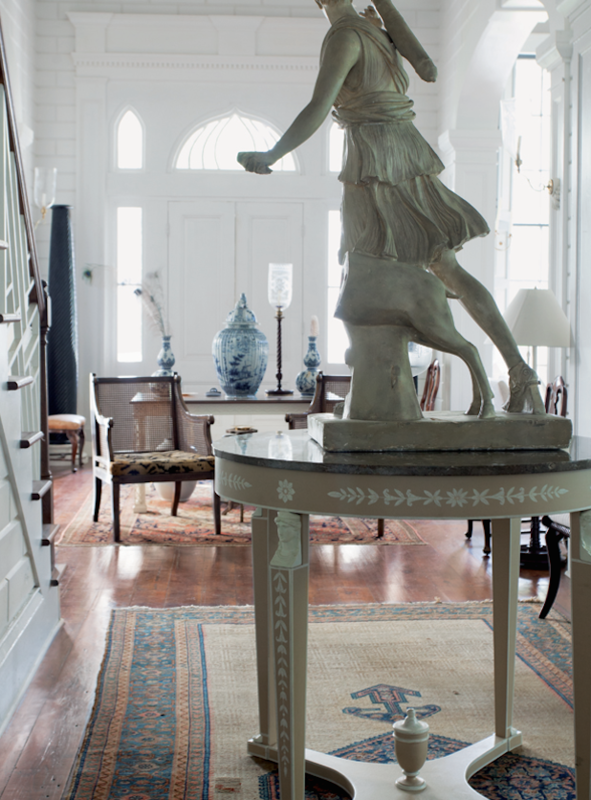 This is the home and personal collection of Furlow Gatewood, who is a been an influential member of the design community for many years. 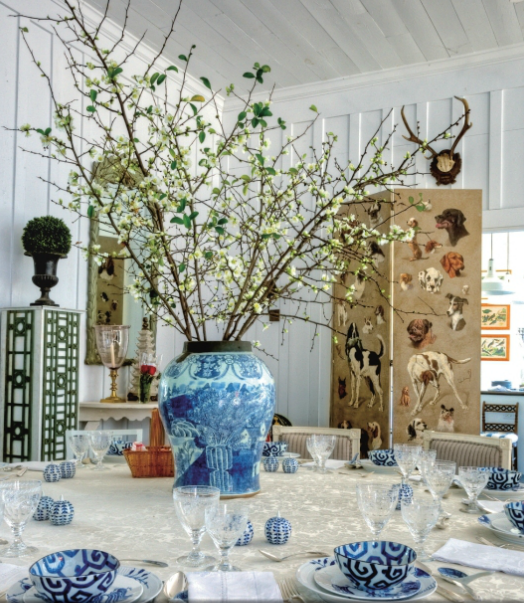 These photos that House Beautiful featured are from the book One Man's Folly (by Julia Reed and published by Rizzoli) and feature much of his amazing collection of blue and white porcelain. Now this is a collection! 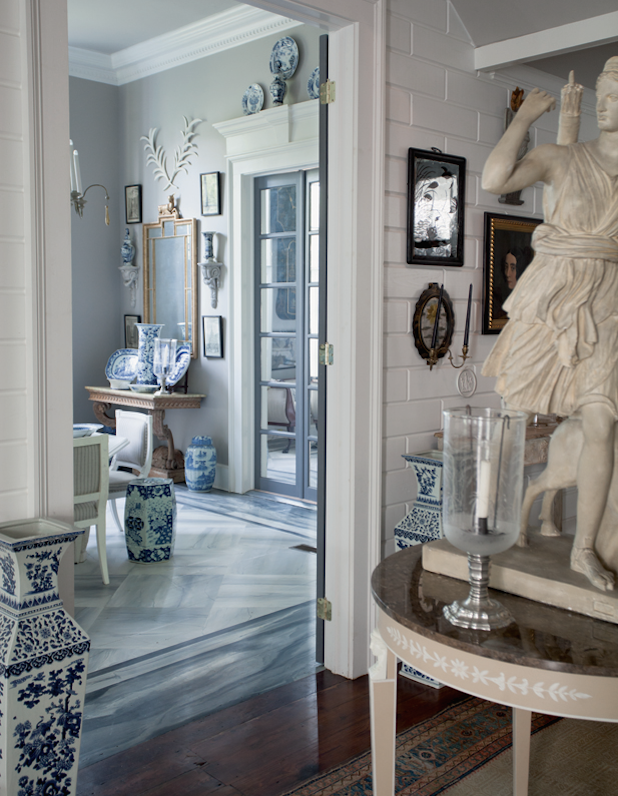 I love the blue and white stool in the first photo and the stunning ginger jars in all shapes and sizes. 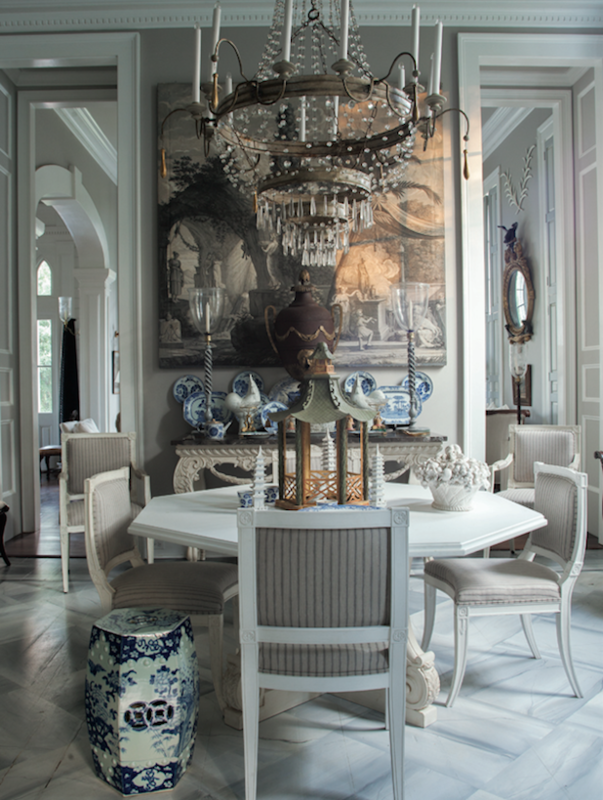 Plates, candleholder and vases fill out the rest of the collection, all set in the most beautiful home.